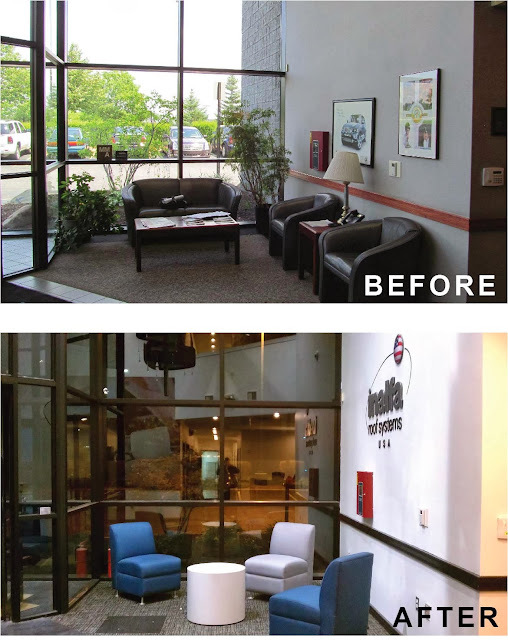 Back in Chronicle 20 of this blog, my business partner, Saundra Little - AIA wrote about how + why our firm merges Architecture and Graphic Design. When opportunities arise for this merger (A+G) the result can enhance your business and/or personal brand creating not just a good space but a great space. Inalfa Roof Systems Inc. in Auburn Hills, MI and Centric Design Studio crossed paths at 2013 Ford Matchmaking Summit Sponsored by Pure Michigan Business Connect, in March of this year. 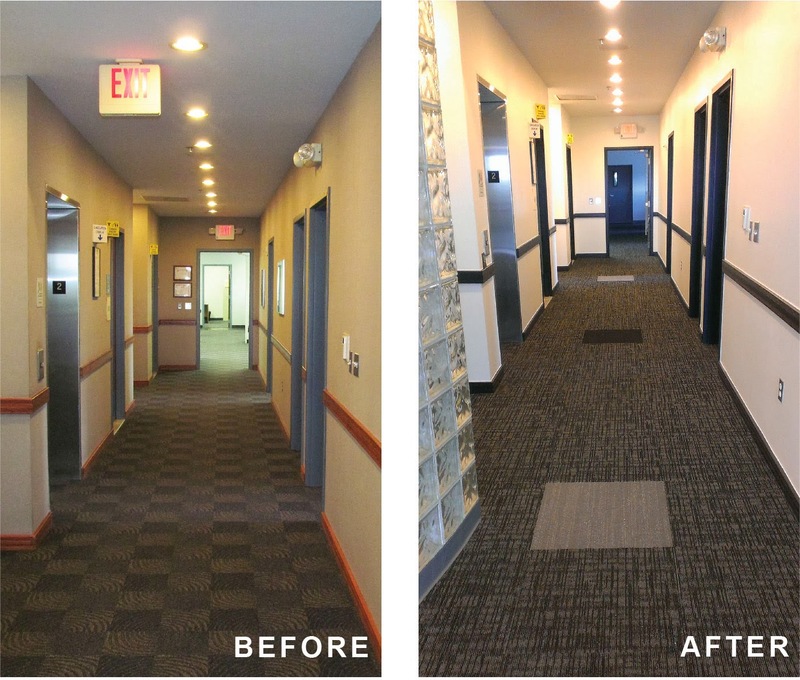 Much later this summer, Centric Design Studio was hired by Inalfa Roof Systems Inc. for interior design services at their Aubrun Hills, MI facility. 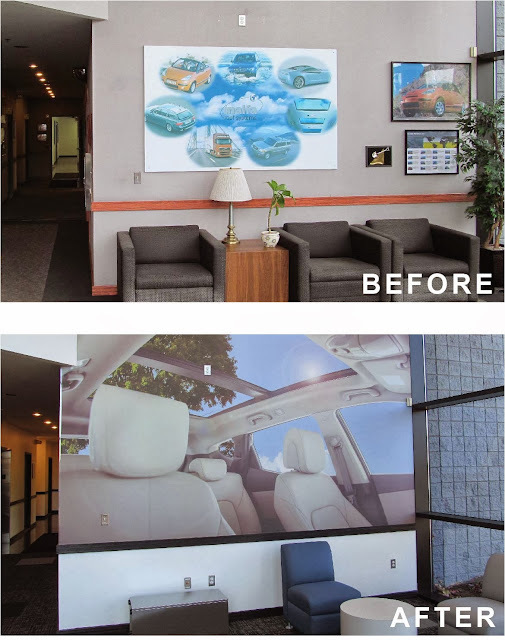 Centric Design Studio used an environmental graphic wall wrap to enhance the entry lobby which leaves no doubt to visitors that this company designs sunroofs. 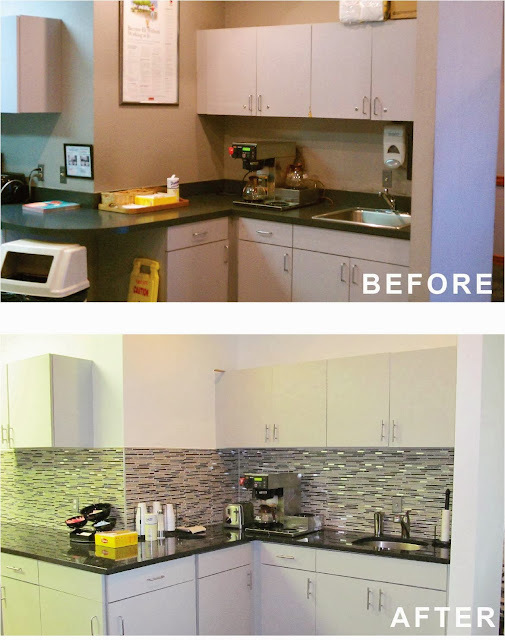 We collaborated with Detroit Design Center on this project. They are experts at creating unique fixtures, sculptures, etc. 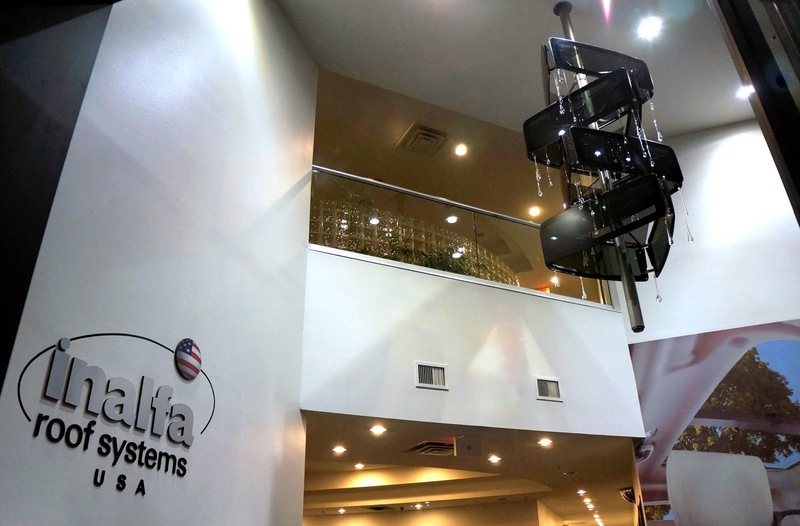 DDC created this sculpture (pictured below), which is more of an art piece, but defiantly enhances the lobby and strengthens the brand of this company. 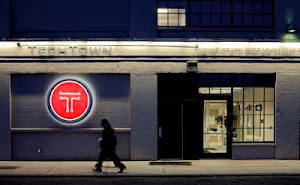 Detroit Design Center used actual sunroof glass from Inalfa's factory to produce this artistic piece. 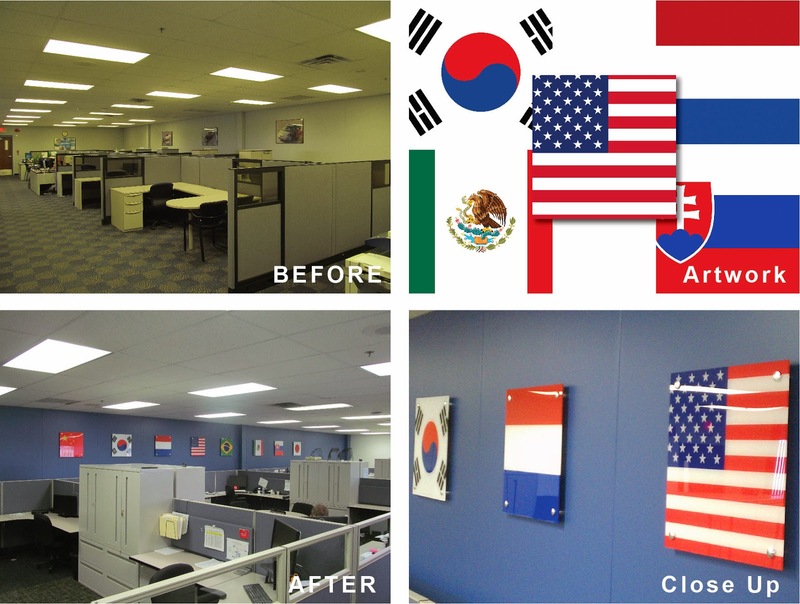 It was important to emphasize Inalfa's global footprint for the visitors and employees of this company. In the open office space pictured below, Centric Design Studio designed acrylic prints of the flags of each country Inalfa Roof Systems Inc. has a presence. 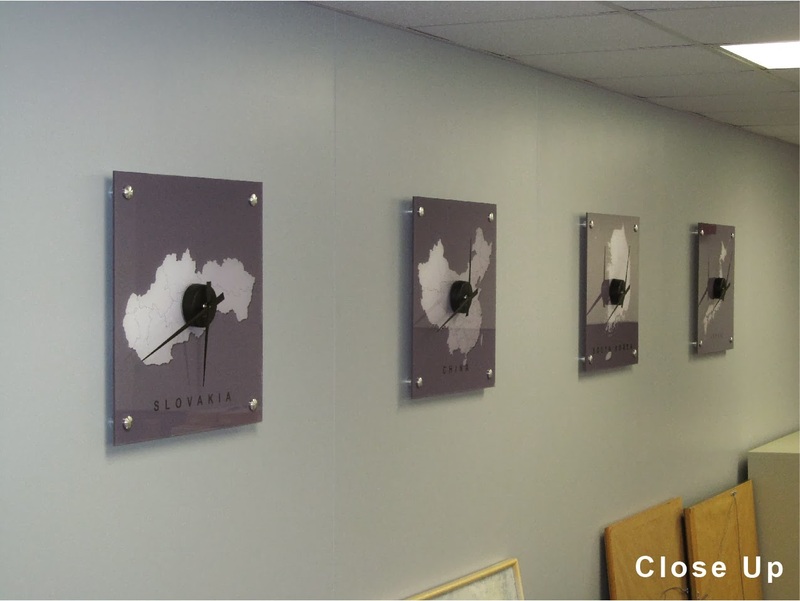 Taking the global footprint graphics further, we duplicated the acrylic squares but had the geographic boundary of each country printed on the acrylic. 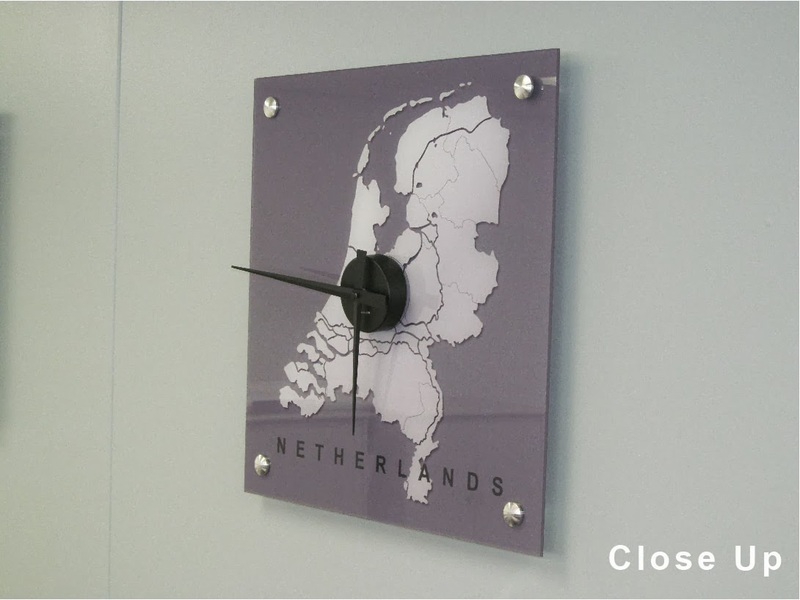 This was topped off by integrating a clock on face of acrylic graphic marking Inalfa's global footprint with time zones. We are thrilled to have any opportunity to enhance space utilizing architecture and graphics because we feel that when the two are placed in harmony, your clients will know exactly what you do without saying a word and your employees will have a deeper understanding of what they are part of.